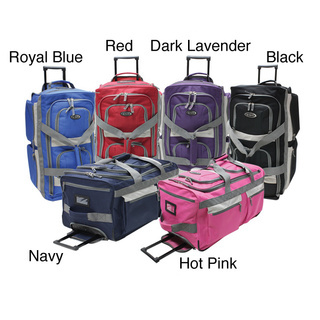 This is the summary of consumer reviews for Rockland Luggage 20" Polycarbonate carry-on Luggage. The BoolPool rating for this product is Excellent, with 4.50 stars, and the price range is $47.99-$74.99. This's a great price for this piece. The one thing that'd improve this piece is to have latches instead of a zipper closure; other than that, it's an ideal piece of luggage. I'm pleasantly surprised with this piece. I can see this piece of luggage being with her for many years and will make a great carry on piece if we fly. The inside is pretty, pink and has several compartments. The quality is pretty good for the price, but could use heavier zippers to ensure longevity. The inside is so pretty with pink net organizers and straps! The design is very pretty........she's getting it for Christmas and I know she'll love it. I've been searching for a carry-on piece of luggage for my 11 year old niece. I've ordered the purple one now for her sister. 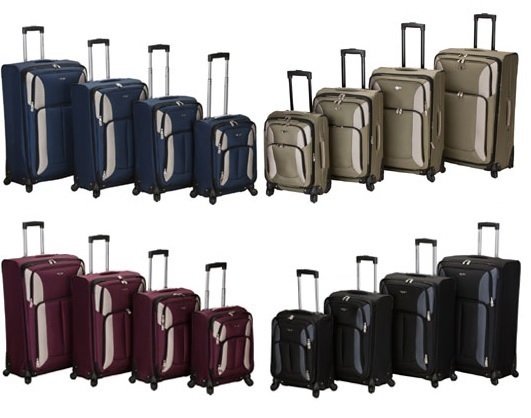 They're cute, super light, and perfect if you know how to travel light. Plus is is super cute. 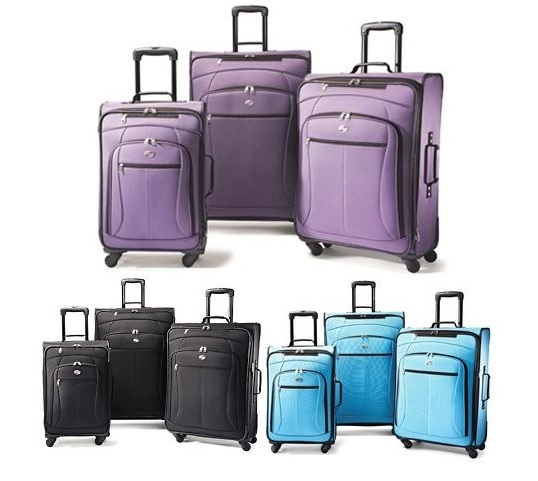 Durable, cute design, light weight, rolls smoothly. Good material, patterns are cute. wheels move great and is lined with such a cute lining. This's very cute & sturdy - can't wait to go on a trip with it. It's super cute, has tons of space and lots of zipper pockets to keep little things separate from the rest of your clothes. it's very good quality and is so cute and colorful. The handle is still attached, the wheels still work and it's ridiculously cute. I needed a carry-on that was sturdy enough to handle my fairly extensive travel but light enough to be easily lifted into the cramped overhead space. The handle is very sturdy - I feel confident when carrying the bag with he handle extended ( for instance up curbs or short sets of stairs so I don't get slowed down collapsing the handle and opening it up again). Aside from the eye appeal it does seem well made and light enough for her to handle. The case is really cute but the handle is kind of cheap. At first, the handle wouldn't release to elongate, but once it did, it moved well. it swivels 360 and has a great handle. The second one came and the handle was really hard to get up and down. The pull out handle though, wasn't as smooth moving as hoped and caused my 5 year old's fingers to get pinched multiple times. I'd to reorder this because the first one I got the handle was broken. We were a little concerned that it'd be too big for her to drag around since the handle is really long, but she'd no problems with it and was happy to pull her own case through the airport. It's otherwise perfect, light, sturdy, good wheels, good lining. I like how the wheels roll in all directions, so you can wheel it without leaning the bag over. 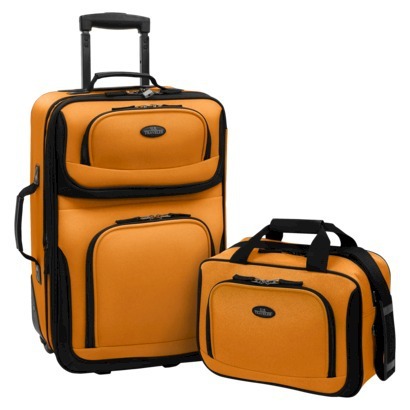 You basically have two sides to hold your travel items, which makes it easy to organize. Fantastic 4 wheel rollers, great graphics, and so lightweight!. It's four wheels so it's easy to maneuver. 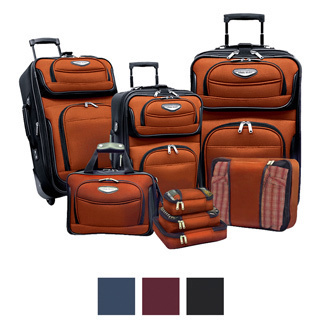 I'd recommend this luggage for traveling. A teenaged girl's need fulfilled for travel!. The wheels make it all very managable. It's perfectly beautiful, lightweight yet sturdy, easy to wheel around and spin. VERY easy to maneuver but yet the wheels are sturdy. 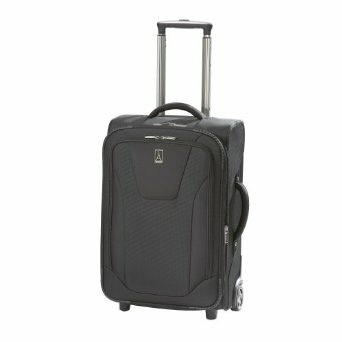 We bought 2 of these suitcases for our kids (ages 6 and 8) for Christmas; we chose this model because it's lightweight, has spinner wheels, has distinctive patterned exteriors that our kids think is fun, is still of a decent size, and has multiple handle positions that can adjust to be easily pulled by both kids and adults. The product seems good however I don't think it'd stand up to being checked in at the airport. Our 4-year old really could handle it herself much of the time in the airport. It pushes and pulls around easily so she was able to maneuver it through the airport by herself. 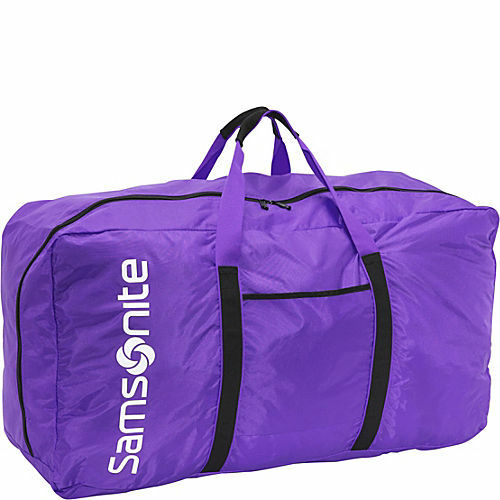 I bought this adorable bright colored suitcase in the purple for part of my six-year-old granddaughter's Christmas. It seems very sturdy and I think she'll have it for a long time to come. The design makes it easy to identify, which is important even if you aren't checking baggage....in cases of using an airport shuttle or using the overhead.